We&apos;re glad you’re here! Everything we do and every decision we make is for the purpose of improving service for your customers and making sure that our company and employees are successful.We are in the business of printing… However, we feel that our company produces something much larger then ink and toner on paper. Our company produces success. We take pride in the fact that with on-site graphic designers, the products we create help to make your business more successful. Our job is to make you look good on paper. From products such as business cards to letterhead, to carbonless forms, t-shirts, banners, booklets, flyers, invitations, postcards, envelopes, and full color and black and white copies, we do it all!We hope to earn your business by providing you with extraordinary value, super-friendly service, and by demonstrating a sense of urgency for your important projects. Our services include graphic design, sign printing, silk-screening, offset printing, digital printing, promotional products, and much more! Even though our store is in Rancho Cordova is open 9-5 weekdays, our on-line services never sleep. Since 1990, we have served the immediate areas of Rancho Cordova, Elk Grove, Sacramento, Folsom, Fairoaks, Tracy, and all other areas in between.If you’ll spend a few minutes touring our site, you’ll see that we’re enthusiastic about our complete printing, copying, graphics, screen printing, large format printing of signs, banners and bindery services for you. 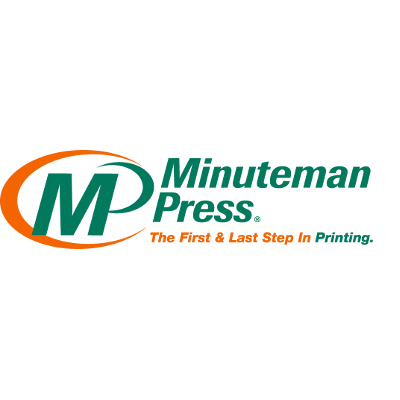 From design to delivery – we are able to handle everything you need to make your company successful!Minuteman Press of Rancho Cordova is a proud member of the Rancho Cordova Chamber of Commerce.